GSK’s new asthma drug Relvar Ellipta has shown itself to be superior to existing treatments in a major real world trial, the Salford Lung Study (SLS). Developed with US respiratory specialist firm Innoviva, the drug (known as Breo Ellipta in the US) is GSK’s follow up to its respiratory blockbuster Advair/Seretide, but won’t come close to replacing the older drug’s $5 billion in annual sales. Sales of the drug are starting to pick up since its slow start in 2013, and in Q1 the drug recorded revenues of £204million ($264m), up 84% on the same period a year before. The new results from the groundbreaking Salford study should provide extra impetus for this growth: patients initiated with Relvar Ellipta treatment had twice the odds of achieving an improvement in asthma control compared with patients continuing usual care. 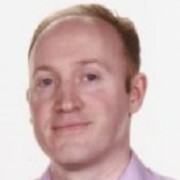 Lead Investigator, Ashley Woodcock, Professor of Respiratory Medicine and Clinical Director for Respiratory Medicine, University Hospital of South Manchester and University of Manchester said he was excited to see the results from SLS asthma study, and stressed that poor control is still a major problem for many asthma patients. The Salford study recruited a total of 4,233 patients who were taking inhaled corticosteroid (ICS) with or without a long acting beta2-agonist (LABA) were randomised to receive either FF/VI or to continue on their existing asthma maintenance therapy (usual care). It had minimal exclusion criteria, and the open label, 52 week trial is trying to provide a more accurate picture of how drugs are used by patients in the real world. Nevertheless, the new data doesn’t include any data which shows use of Relvar Ellipta can help reduce more clear-cut clinical endpoints, such as emergency admissions. Meanwhile the drug’s has recorded mixed results in terms of proving its superiority to Advair/Seretide in COPD. 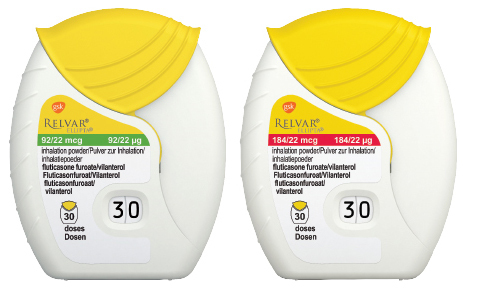 The potential of Relvar Ellipta is also held back by boxed warnings on the drug, relating to its increased risk of asthma-related death in children and adolescents, who make up a high proportion of all asthma patients. Long-acting beta2-adrenergic agonists (LABA), such as vilanterol, increase the risk of asthma-related death in children and adolescents, and therefore should only be given to these patients if they are not adequately controlled on low or medium dose inhaled corticosteroids. The most promising prospect in GSK’s late stage pipeline is a ‘closed triple therapy’ combining fluticasone furoate/umeclidinium/vilanterol (FF/UMEC/VI 100/62.5/25 mcg) for patients with chronic obstructive pulmonary disease (COPD). It showed impressive results in the FULFIL trial, a head-to-head with AstraZeneca’s dual therapy Symbicort. Against this established dual therapy, GSK’s combination showed a 35% reduction in moderate/severe exacerbations in a 24 week study, and 44% reduction in a 52 week trial, and the FDA is expected to approve this combination later this year.